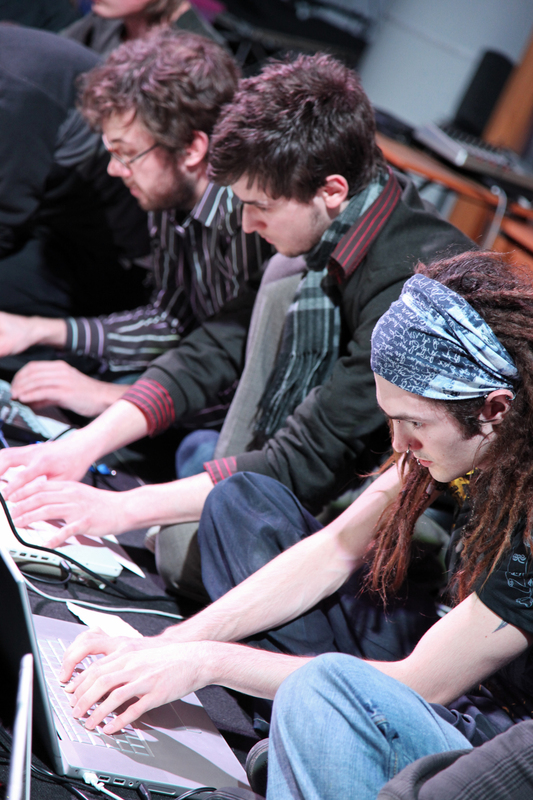 Hewitt, Scott, Tremblay, Pierre Alexandre, Freeman, Samuel and Booth, Graham (2010) HELO: The Laptop Ensemble as an Incubator for Individual Laptop Performance Practices. In: Proceedings of the International Computer Music Conference. ICMA, New York, pp. 304-307. 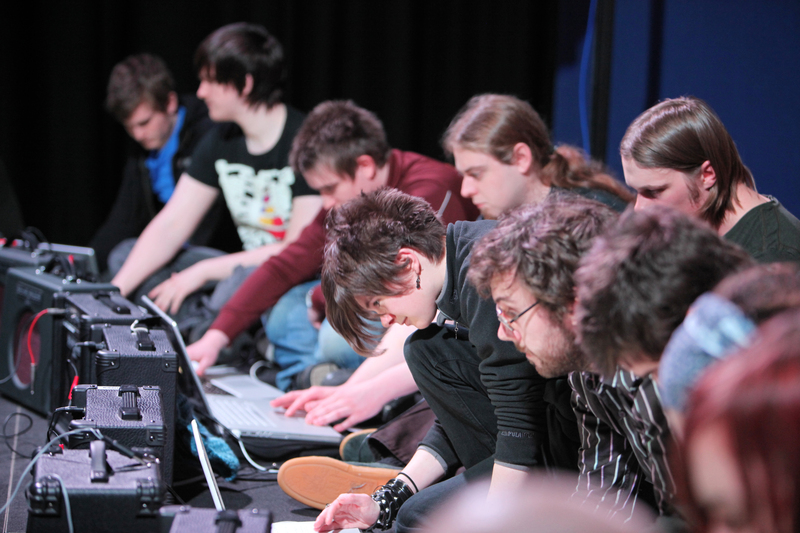 In this paper we seek to outline the methodology and philosophy of the Huddersfield Experimental Laptop Orchestra (HELO). Placing the ensemble in context of similar work, we discuss the Do-It Yourself (DIY) laptop instrument design paradigm, and the incubatory benefits that arise from participant-centered approach to ensemble rehearsal and performance.